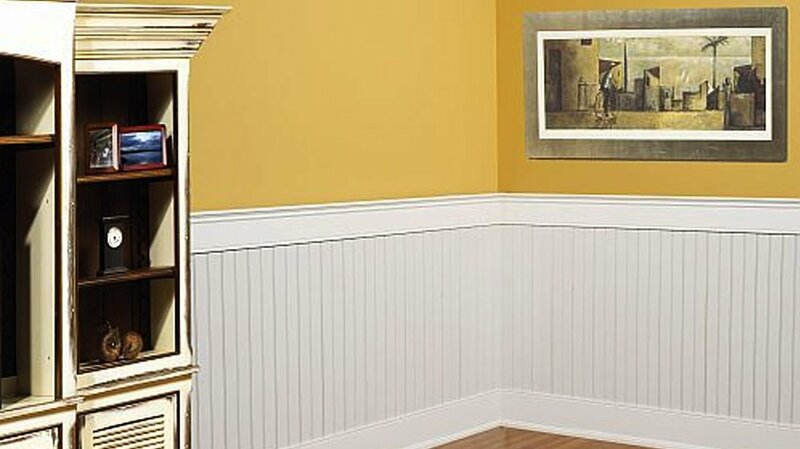 Wainscot paneling trim is an inexpensive and easy way to beautifully transform your room. Each of the panels are a moulded one-piece panel that can easily be glued or nailed to your wall. Heights can be adjusted based on preference and no complicated measuring needed. 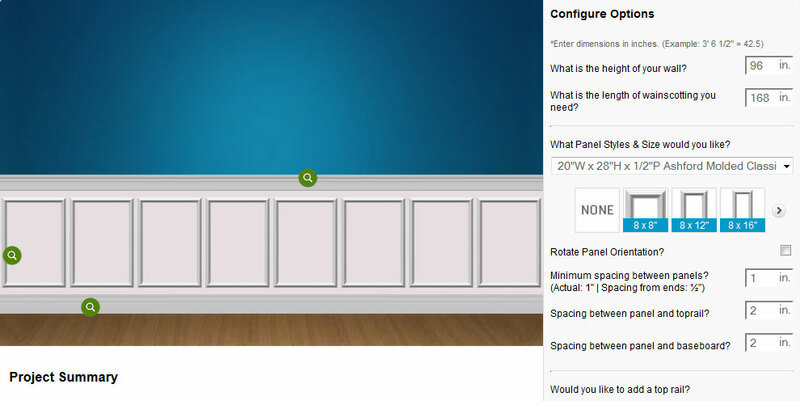 Design your own wainscot paneling using a variety of component combinations. Select your top rail, bottom rail, and panel styles, to create your own unique look. Whatever your combination, installation is a breeze with our pre-molded panels using adhesive or a pin-nailer. Wall paneled wainscoting adds a unique twist to traditional raised panel wainscoting. Each kit includes a top and bottom rail, as well as, stiles (the vertical pieces) that make your wall the panel. This look uses your wall as the panel and gives the look of authentic wainscot paneling, for a fraction of the price. Beadboard has been a hallmark of classic New England homes and seaside cottages for centuries. Widely spaced vertical grooves or narrow ones, beadboard options are both simple and stunning at the same time. 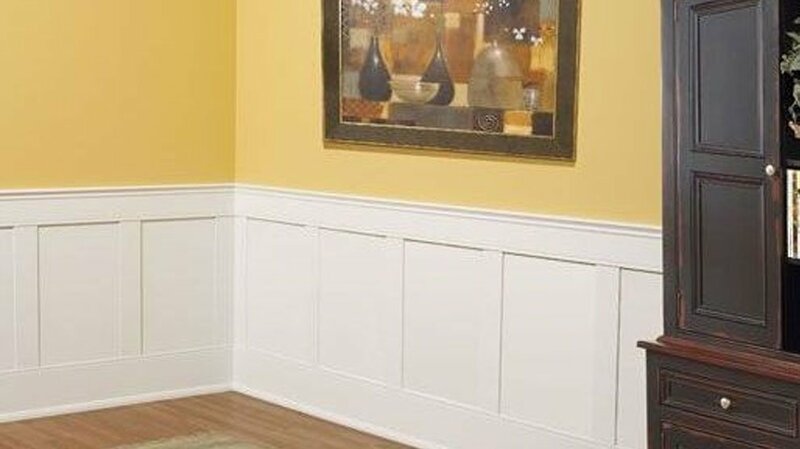 If you are looking for the craftsman style wainscoting, look no further. Our flat panel wainscoting systems offer the beauty of traditional wainscoting with the simplicity of the arts & crafts movement. Each kit comes complete with the top and bottom rail and a selection of flat panels. These kits come primed and ready for your paint. 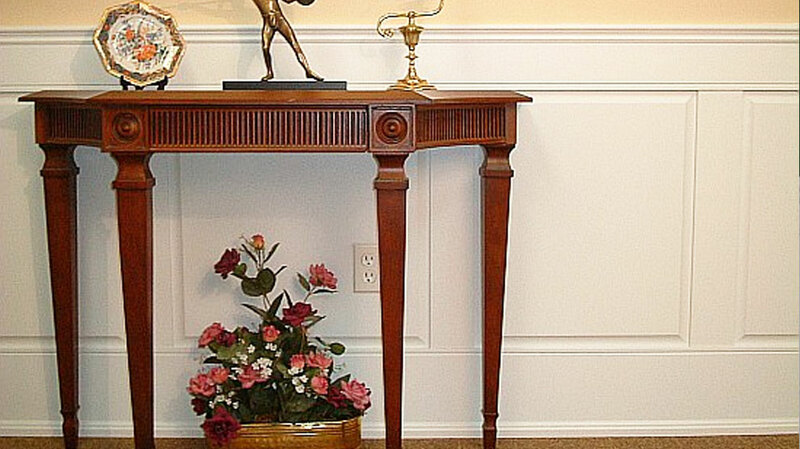 Why is raised panel wainscot the oldest and most respected of all wainscoting options? It's just plain gorgeous. Who can resist the eye-catching shadow lines created as light washes across the profile of delicately beveled panels? 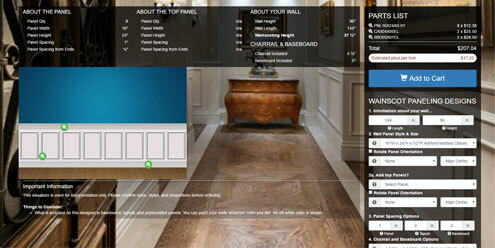 And with our Raised Panel kits, you get all this plus the chance to customize panel width perfectly for your room. 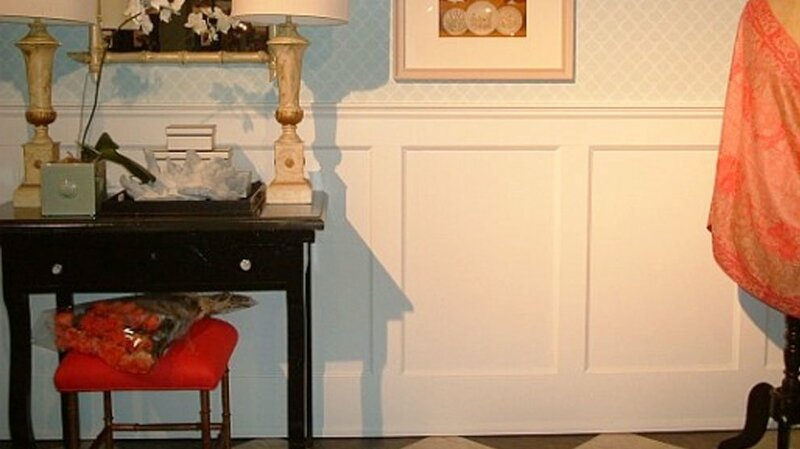 If you've got your heart set on authentic raised panel wainscoting, why settle for anything less? In the days before paint was scrub-able and wallpaper was mass-produced, wainscoted walls served a practical purpose; covering the lowest and most vulnerable portion of a wall. Covering with wood paneling provided an attractive and decorative wall treatment tough enough to withstand cleaning and resist any damages due to everyday use. Sure, that all sounds reasonable until you start to consider the cost. 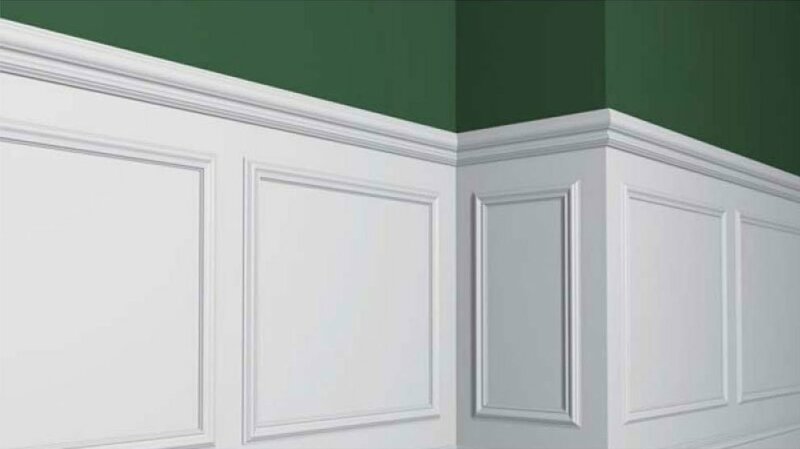 Until recently the trouble was, if you wanted wainscoting you either had to make-do by faking the look with trim applied directly to the wall or spend a lot of money on a custom carpenter and custom-shaped panels. Now with high speed production techniques and modern, precision made MDF products, we make installing your own wainscoting a more viable option. 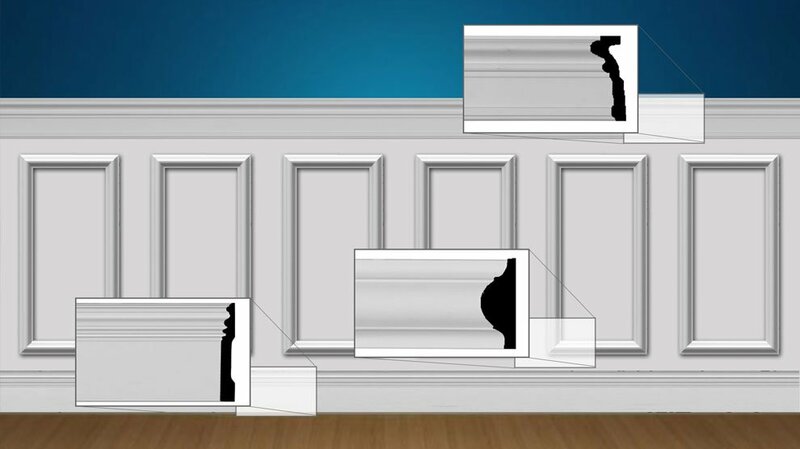 We offer several types of wainscoting, whether you are a do-it-yourselfer, a contractor, builder or you have a carpenter to do the job for you, our pre-manufactured kits save time and money on the job site and come with detailed instructions.